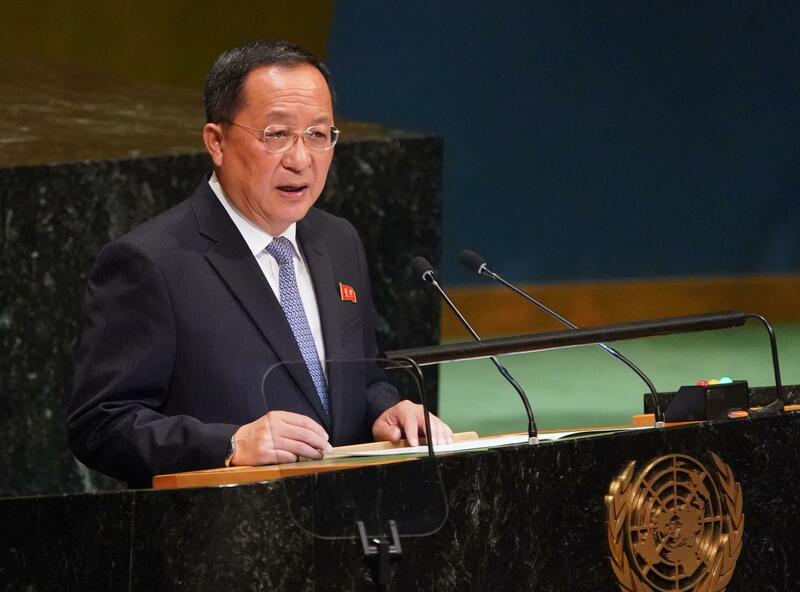 North Korea says "no way" it will disarm nuclear weapons if it can't trust U.S.
UNITED NATIONS -- North Korean Foreign Minister Ri Yong Ho told the United Nations General Assembly on Saturday that there is "no way" his nation will ever disarm its nuclear weapons first if it can't trust Washington. "Without any trust in the U.S. there will be no confidence in our national security and, under such circumstances, there is no way we will unilaterally disarm ourselves first," Ri said. His comments come after President Trump, at the U.N. for four days, lauded the progress of the talks between the two nations. Mr. Trump said that he was in no "hurry," adding that another summit will take place between the two leaders soon, at a location other than Singapore. Ri implored the U.S. to follow up on the promise made at the U.S.-North Korea summit in Singapore between Mr. Trump and Kim Jong Un, and noted that it has been over one year since nuclear tests and rocket test launches have taken place. Ri said that Kim Jong Un had a "firm determination to turn the Korean peninsula into a land of peace free of both nuclear weapons and nuclear threats." Russia's Foreign Minister Sergey Lavrov called on the Security Council to pass a resolution commending the progress made and suggested that "modest steps" be taken to ease sanctions to encourage Kim Jong Un. The U.S. has blamed Russia for skirting the sanctions and called for full implementation until full and verifiable denuclearization has taken place. North Korea has continued to call for an end to the Korean War and for a peace treaty between Washington and Pyongyang that would involve the removal or reduction of U.S. military forces in South Korea. Ri bemoaned the fact that "the 'UN Command' in South Korea even showed alarming signs of hindering the implementation of the Panmunjom Declaration between the north and south." Secretary of State Mike Pompeo met with North Korea's envoy at the sidelines of the U.N. gathering and announced that he will travel to the North in October to prepare for the next Trump-Kim summit. "The perception that sanctions can bring us on our knees is a pipe dream of the people who are ignorant about us," Ri said. "The problem is that the continued sanctions are deepening our mistrust."